When I think back to why I wanted to be a primary school teacher, it was because I wanted to make a difference. It may sound cheesy, but it’s true. I wanted to teach, I wanted to help students and I was someone who liked primary school and had wonderful teachers that inspired me to take on the vocation. I think this is a typical reason why people become primary teachers. I don’t often hear people saying, ‘because I love science,’ or ‘because I love English.’ Primary teachers do like specific areas of the curriculum, they may have a passion for visual arts, or be a talented musician or writer, but generally, their first love is the students, and teaching itself. Last week a new education strategy was announced by the NSW government that includes the recruitment of 100 specialist primary school mathematics teachers over five years along with a new maths-based HSC course. The aim is to assist students in feeling more confident with mathematics and to equip students with the skills they need to succeed in life. (As a side note, I found it interesting that they said, “confidence with maths and numbers,” not sure how numbers are separate to maths!). This is the aim of all teachers, to assist students in feeling more confident in their own mathematical abilities and to believe their knowledge and understanding can grow and develop. However, as a primary school teacher and someone who is passionate about mathematics education, I do not agree that introducing specialist mathematics teachers into primary schools is what we as teachers, or our students need. I wonder if any primary school teachers were consulted on their opinion prior to the strategy being developed? On what research are they basing this strategy? 1. Primary teachers are generalist- and this is a good thing! I firmly believe that as primary teachers we are extremely fortunate as we have the students all day every day. This provides multiple opportunities to integrate mathematics in Science and Technology, in Creative Arts, and in Physical Education to name a few. I feel that I have a level of confidence in all six learning areas, and the ones where I don’t, I identify as areas to improve and continue learning. This is not the first mention of specialist teachers in primary schools. It has been debated a number of times in the last five years and with the emergence of a strong focus on STEM as an inquiry approach to integration, the idea of STEM specialist teachers has also been discussed. No matter which way u want 2 dice it up, change or reduce curriculum content-u have 2 invest in teachers & teacher PL-that requires $$$ 2 buy time for teachers 2 think together-2 plan together & 2 have deep conversations about practice otherwise we r just tinkering at the edges. Dr Hunter makes an excellent and relevant point in saying it would potentially de-skill primary teachers. When/ if you narrow primary teachers’ focus to only a few or one subject area, the ability to integrate will diminish and subjects will seem more siloed than ever. Dr Hunter goes on to mention three key ways forward, build capacity, greater funding and ongoing teacher professional learning. These three ideas would make a strategy that has teachers’ interests at its centre and shows support for their ongoing professional improvement. In a study discussing the primary curriculum and specialist teachers, comments were made regarding the need for primary teachers to remain generalists, at least for English and mathematics. In the study, 60% of teachers interviewed supported some form of specialist teachers in other subjects, but not mathematics and English. No primary teacher- early career or experienced, would say they know everything about teaching every subject, we are all life-long learners. Some may identify mathematics as an area they either have not felt confident in as a learner or as a teacher, this does not equate to replacing them. All teachers have a professional development plan, this is an opportunity to support these teachers in becoming better primary teachers of mathematics (not mathematics teachers, the emphasis is on the teaching). In my experience as a primary teacher, the budget for me to attend professional learning (PL) was tight, I had six learning areas to develop and keep up-to-date in for both content and pedagogy. It would be a better strategy to provide increased funds to schools specifically for dedicated PL in mathematics and English (as our core subjects). One hundred primary mathematics specialist teachers is not enough, I want all primary teachers to be specialist teachers of maths, and English, and science etc. My first thought when I read the strategy was what will the parents think?! Let’s say a school has a specialist mathematics teacher who takes your class. What message does that send to your students’ parents about your capabilities as a teacher? That you aren’t good enough to teach mathematics? If nothing else, primary teachers should be confident and in control of teaching English and mathematics to their students. Literacy and numeracy skills are essential foundational skills for most other subject areas. The classroom teacher should teach these areas. They know their students well, they know their needs, abilities and interests, and have formed relationships with their students that are important for students’ beliefs about their learning and themselves. Another strength of primary teachers in knowing their students, is when talking with parents about student learning. I would often make connections to how they learn in mathematics, English and other areas. I like that I teach my students all areas and that I can speak with confidence about how they are going across learning areas. 4. Where will they come from? Whether you take the statistics from ACER’s 2013 article The teacher workforce In Australia: supply, demand and data issues that states, “about 20% of mathematics and physics teachers are teaching out-of-field” or the statistics from the Chief Scientist’s 2014 Science, Technology, Engineering and Mathematics: Australia’s future report that claims, “around 40 per cent of our Year 7 to 10 mathematics classes are taught without a qualified mathematics teacher,” either way, it doesn’t sound good. We know there is currently a shortage of mathematics teachers in secondary school, shouldn’t this be the focus of the new strategy? There are a number of us (primary maths nerds) and the numbers are growing! However, what criteria will they use to find these 100 specialists? Is it mathematics content knowledge? Pedagogy knowledge? Both? If they have already identified that most primary teachers feel more confident with English, then these specialists would need to be trained, not just found. Even as someone who loves mathematics, and now only teaches mathematics to pre-service teachers, it’s not necessarily my growth in content knowledge that has had a major impact on my teaching, it’s understanding the processes and the pedagogy. Understanding how I and my students think and work mathematically is what has changed the most, and it’s what has made the greatest impact on the way I teach. Pedagogy experts is what we need. We need teaching specialists, not specialist teachers. We teach the student. We have moved from a teacher- centred, content-centred approach to schooling to a student-centred one. If this is the case, if we are truly interested in preparing students for the future with 21st century skills and ways of thinking to solve and find problems, surely our teaching should be more about process than product. If you are a good teacher, you can teach anything. Most importantly, we should be teaching our students how to think and how to learn. From 2019 all university students undertaking a primary education degree will be required to graduate with a specialisation in a curriculum area. In NSW, NESA is encouraging universities to first offer specialisation in mathematics, Science and Technology or Languages (universities with NESA-recognised specialisations). In AITSL’s guidelines for primary specialisation is clearly states that “primary graduates of initial teacher education programs will be generalist primary teachers, with a deep focus in a particular learning area” (page 2). These teachers are still classroom teachers teaching all six learning areas. The intent is that pre-service teachers will specialise in an area that they are passionate about e.g. mathematics, preparing them for classroom teaching that will lead to improved student outcomes and interest and engagement in these subjects. These specialisation courses focus on content but more importantly pedagogy and understanding how students learn, say in mathematics. To engage students, you need to understand how they learn. This blog only highlights a few of the many reasons why specialist mathematics teachers are not the solution. Students’ beliefs about themselves as learners and students’ beliefs about mathematics- their confidence, may not be influenced by simply hiring specialist teachers. 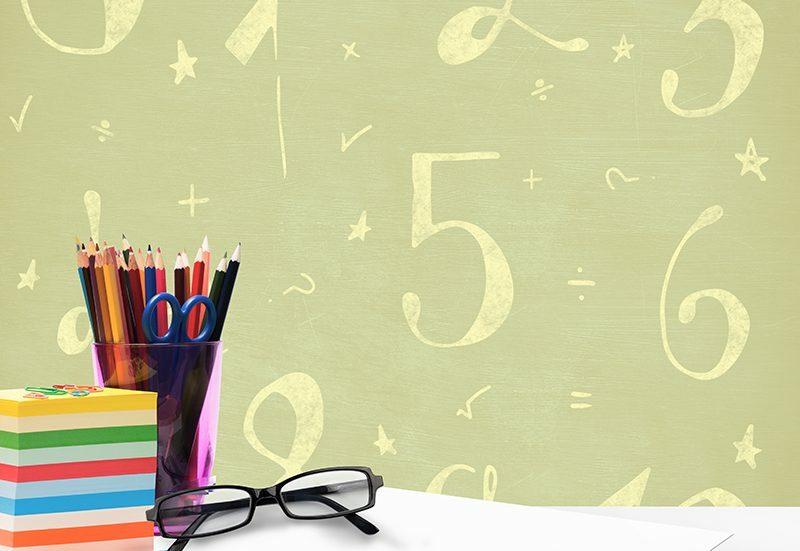 Students need all teachers and carers in their lives across their schooling life to be passionate about mathematics, its usefulness and its beauty, and believe in every students’ ability to improve in mathematics. Only when all our attitudes towards mathematics change will we see students’ confidence and choices regarding mathematics change. Ardzejewska, K., McMaugh, A., & Coutts, P. (2010). Delivering the primary curriculum: The use of subject specialist and generalist teachers in NSW. McMaster, H., Way, J., Bobis, J., & Beswick, K. (2018). Principals’ perceptions and expectations of Primary Teachers with a specialisation in mathematics. In MERGA 41 (pp. 551-558).